Bennington College announces Matthew Rizzo as its new Vice President for Institutional Advancement. Matt will join Bennington from Brown University where he has served as Associate Vice President for Development since 2013, overseeing a team of 40 staff that engages alumni, parents, and friends as part of Brown’s $3 billion campaign. Matt brings to Bennington deep experience in relationship management, board development, planning and leading fundraising campaigns, and building advancement programs. He will partner with President Silver and the Board of Trustees to lead the College’s development and engagement activities. Matt is an alumnus of Denison University where he obtained his B.A in history. An early entrepreneur, he launched a foundation in Chicago to assist inner-city student-athletes in the college admission, financial aid, and athletic recruiting processes. Matt also served as the head lacrosse coach at Glenbrook South High School, where he led the program to its first state title in 2000. 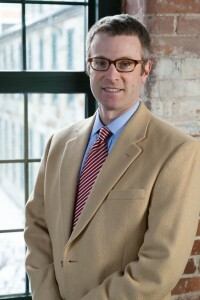 Matt lived in Vermont from 2001 to 2013, during which time he served as a senior development leader for arts organizations in Burlington, and subsequently with Vermont Public Television, Middlebury College, and Vermont Law School.